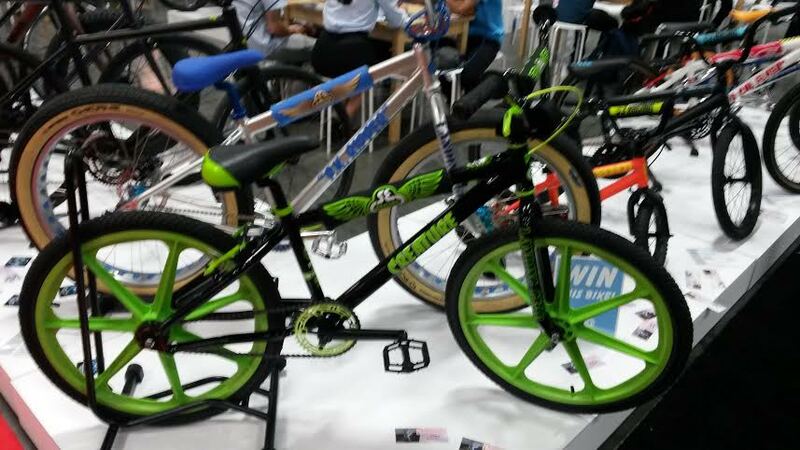 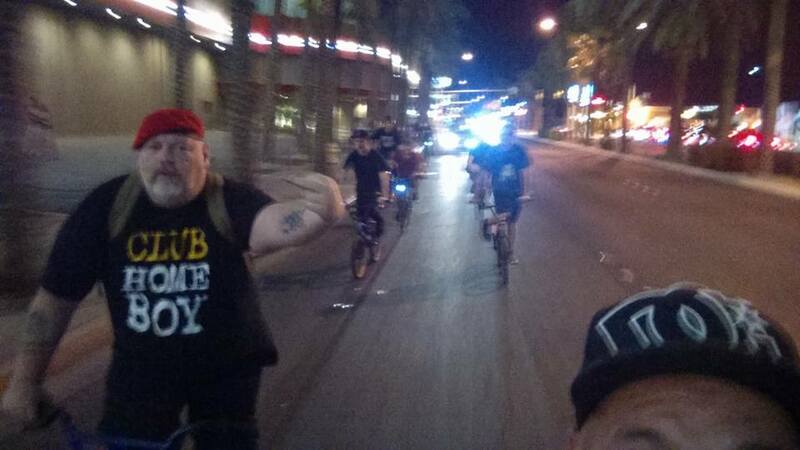 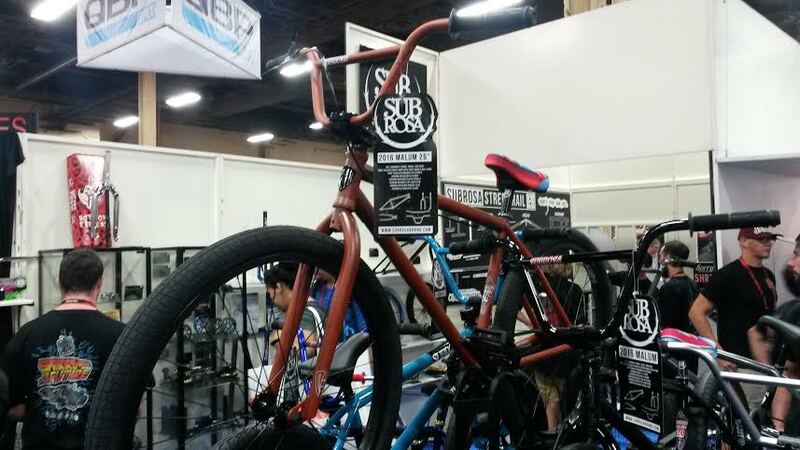 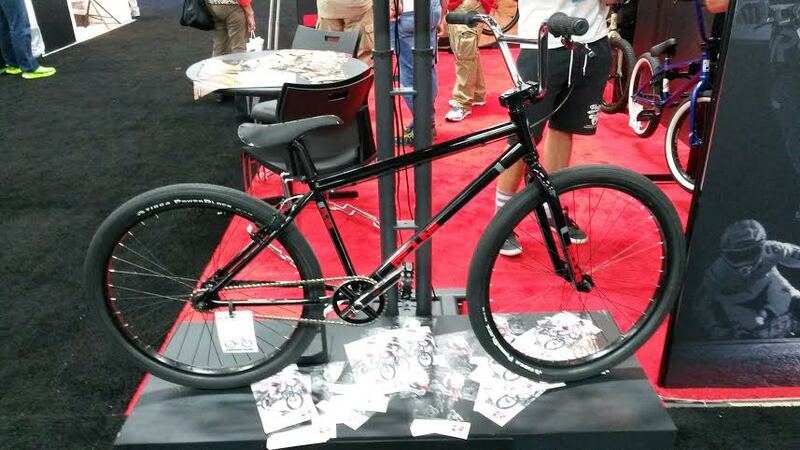 There were a couple of noteworthy things I spotted on the periphery of my “cruiser-oriented lens” at Interbike this year. 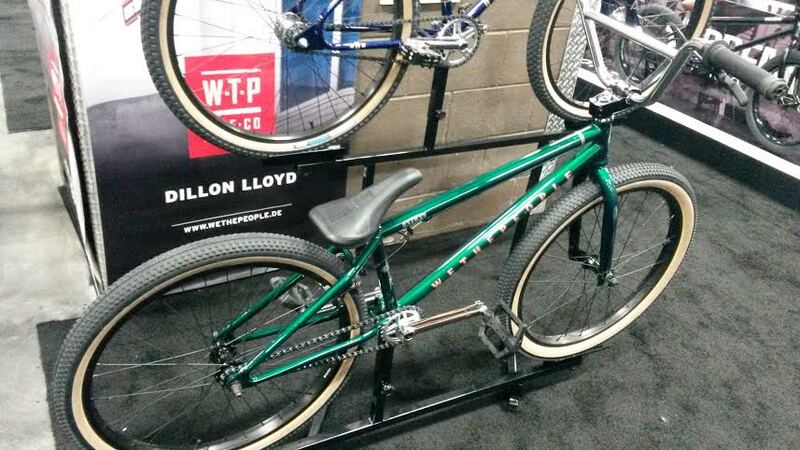 One was The Dash from Bombtrack Bicycle Company (an outfit connected with We The People). 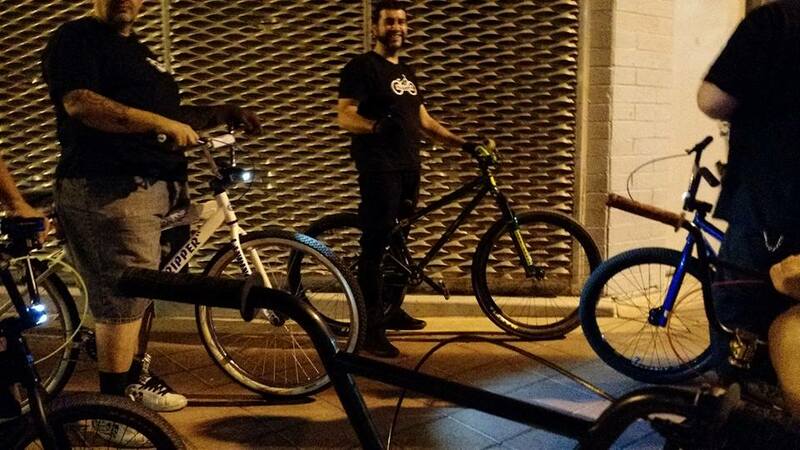 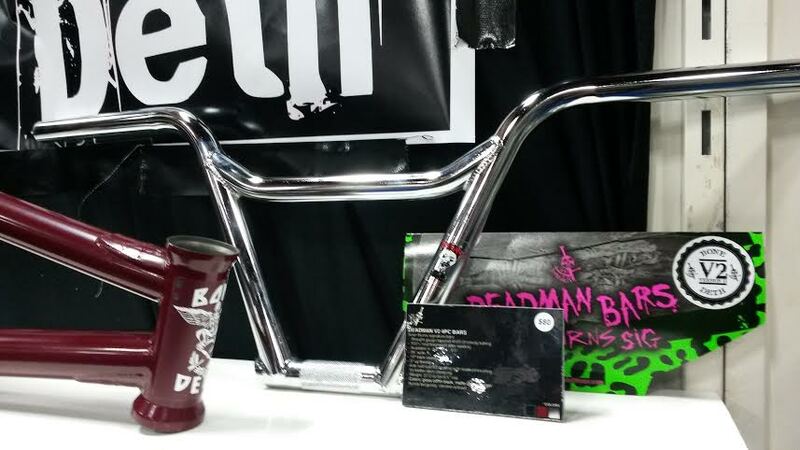 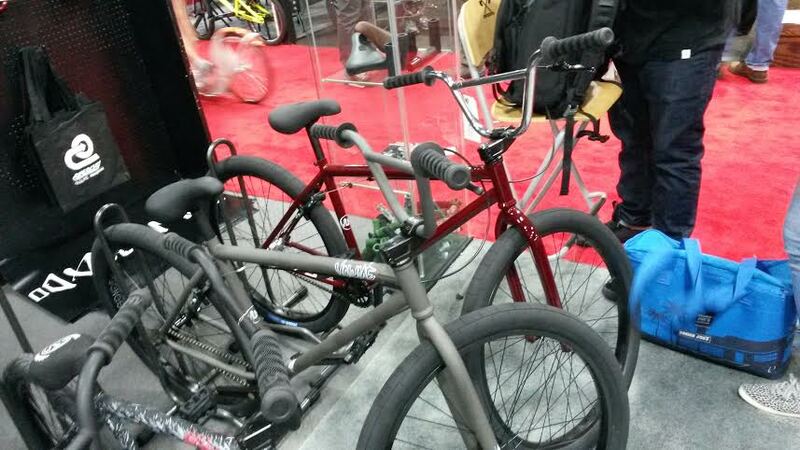 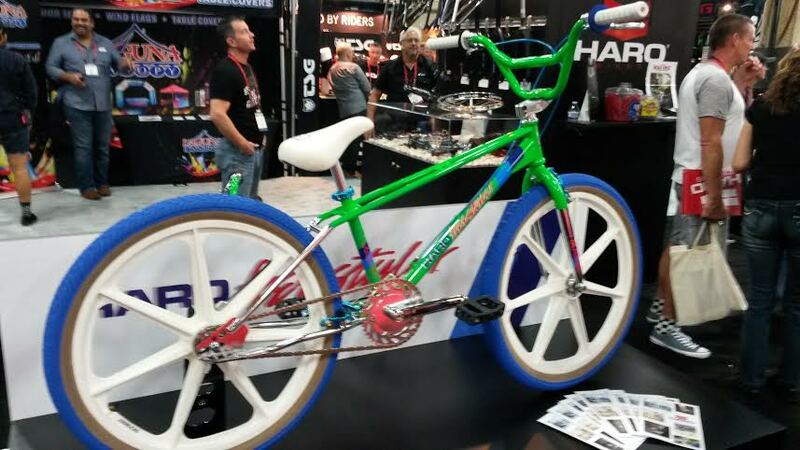 It’s billed as a “fixed freestyle street weapon” but can be converted into an “urban 26″ single-speed machine”. 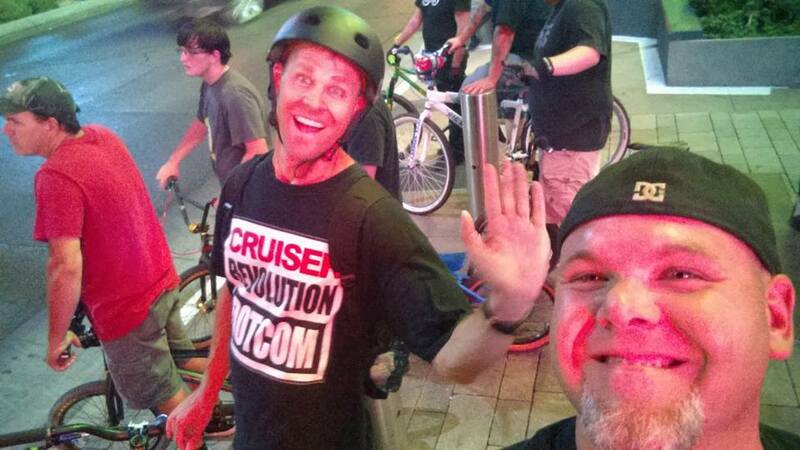 In other words, a cruiser then? 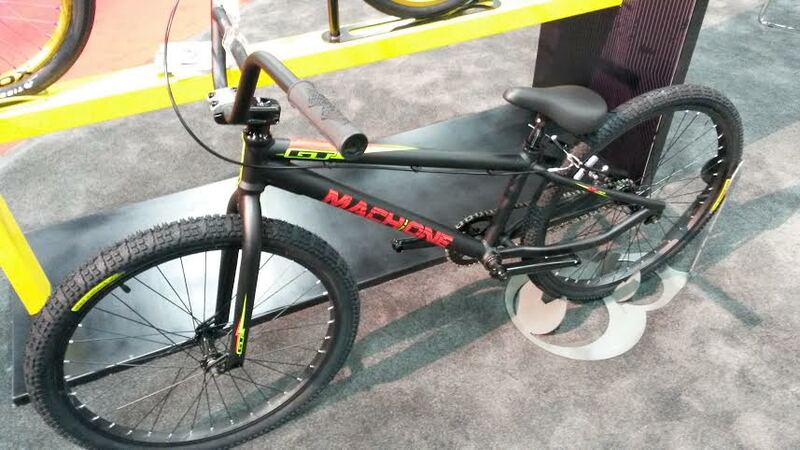 This is a real nice-looking machine. 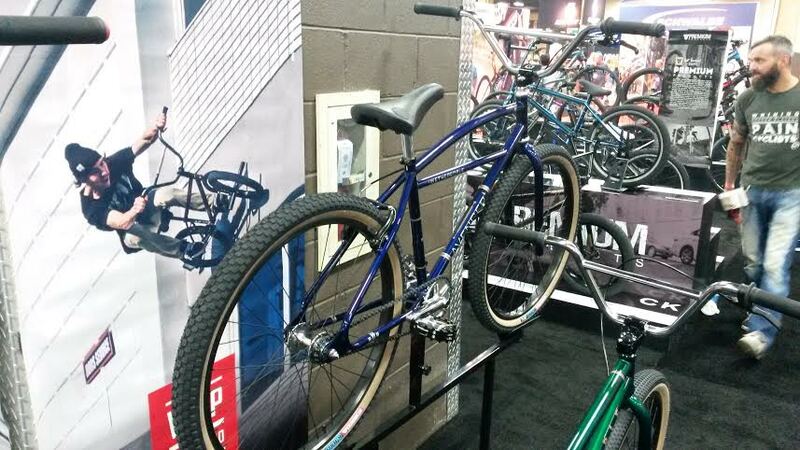 Full cro-mo frame, fork and bars with a liberal sprinkling of Salt components. 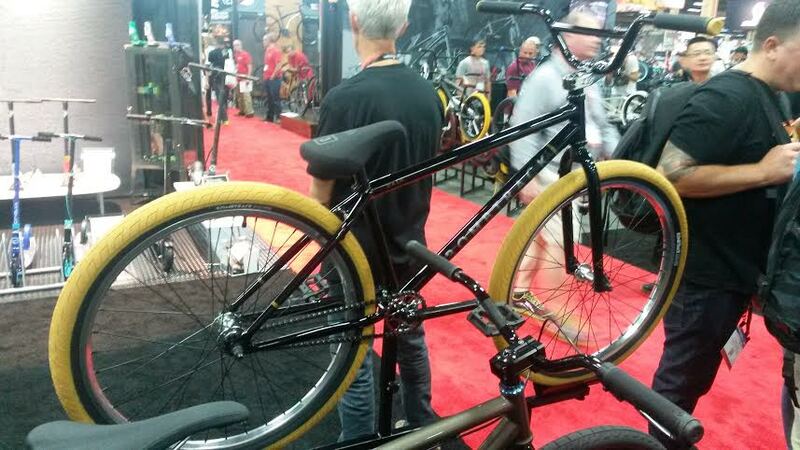 The tan tires, remininscent of the new, limited edition tan Stolen Joint tires are the icing on the cake. 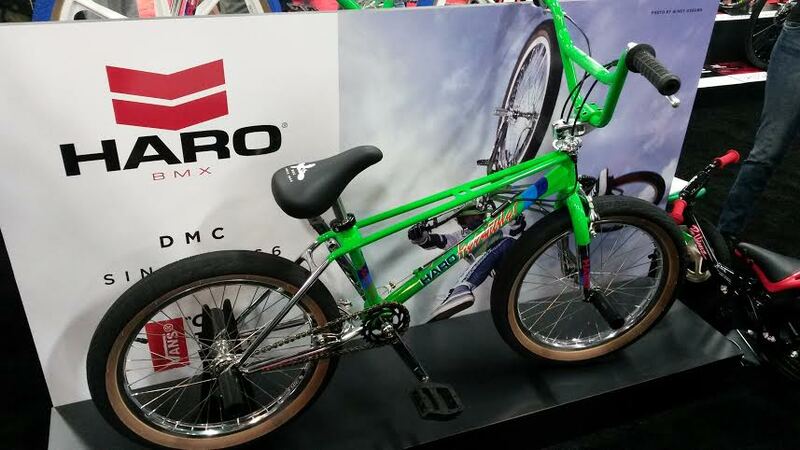 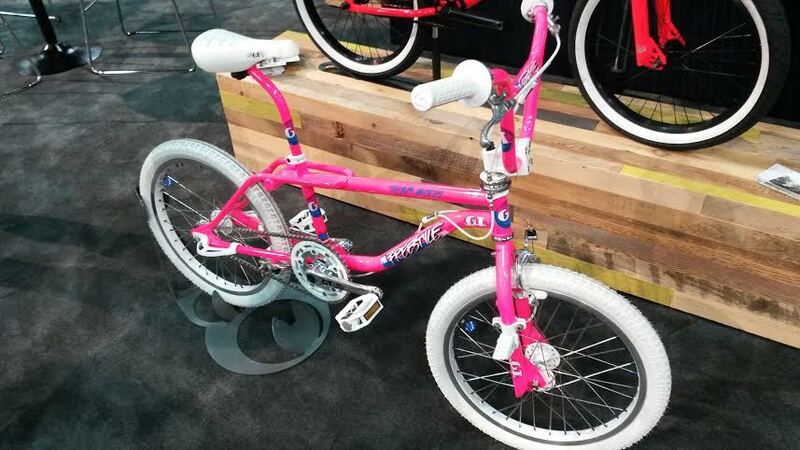 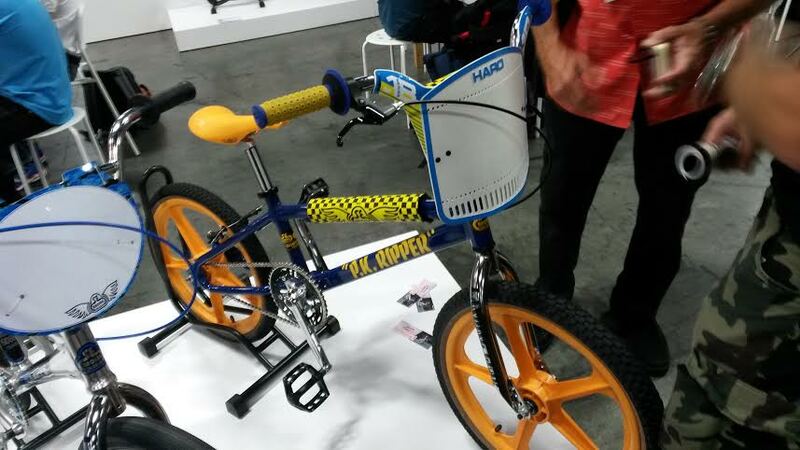 You can definitely see the BMX influence on this bike and it might be an option to consider if you swap out the fixed driver with a cassette (I think it comes with a removable brakes, even though they’re not on the display). 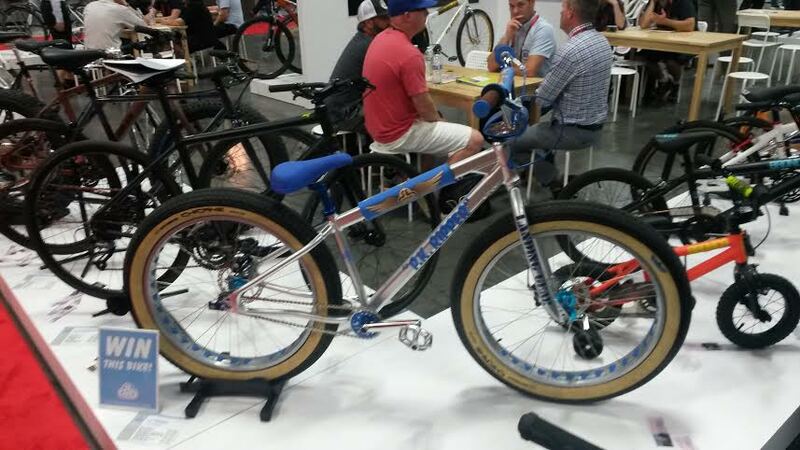 On the smaller end of things, GT had a race bike built up with then new OS20 wheels they’ve been experimenting with for some time (see this previous Mike Day post for more details). 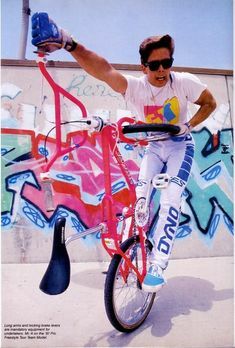 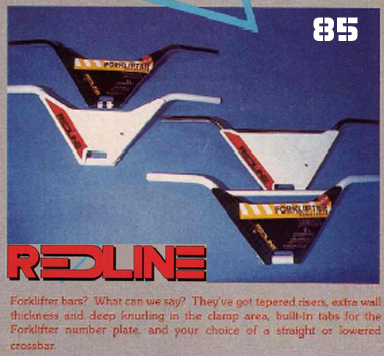 While it seems a bit odd that the racing side of things can’t fully embrace the current wave of enthusiasm for 22″ bikes (in the freestyle/trails side of BMX) due to an arbritary…and dare I say it…archaic mandatory wheel size standard. 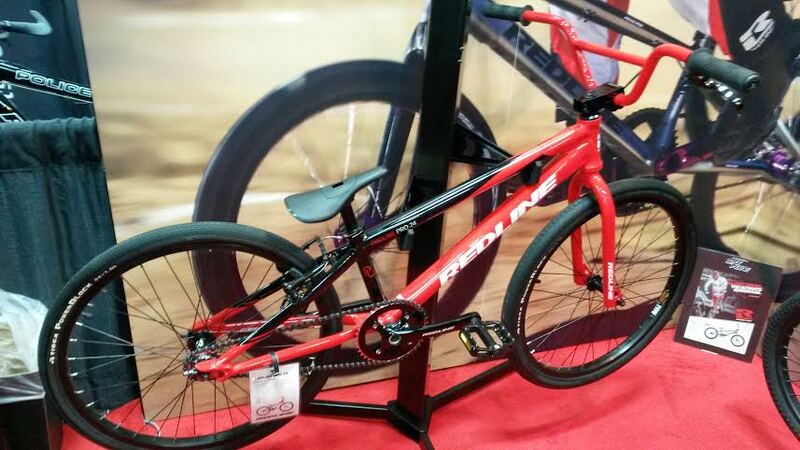 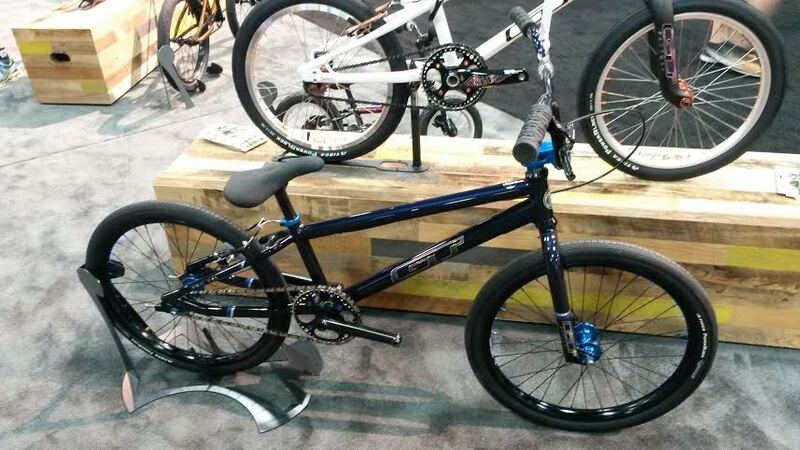 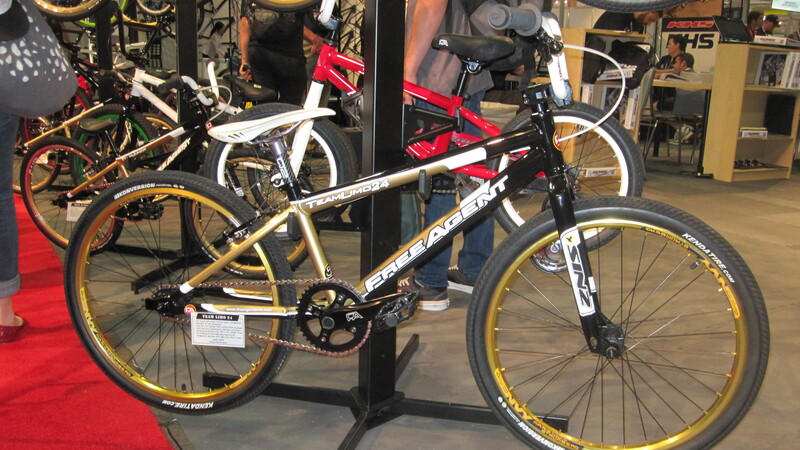 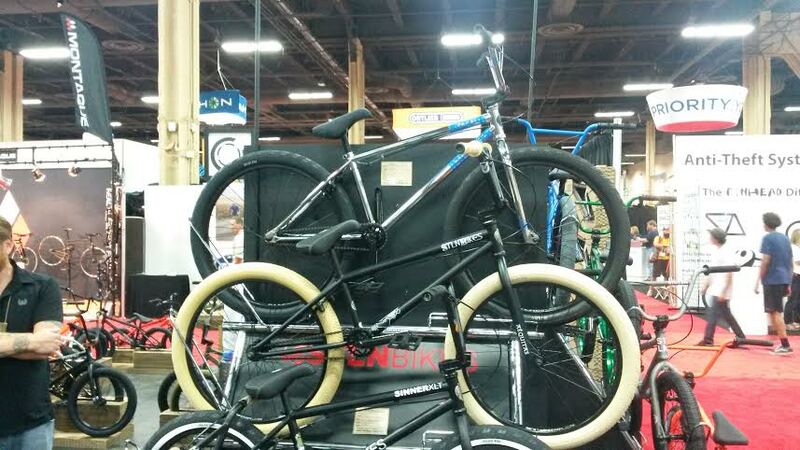 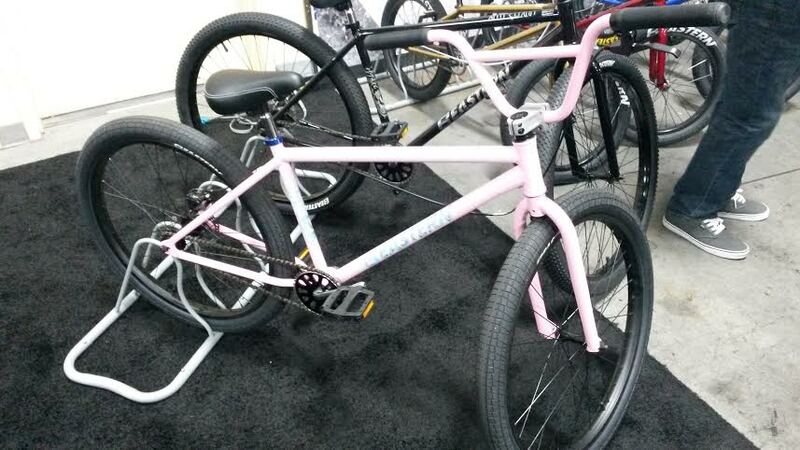 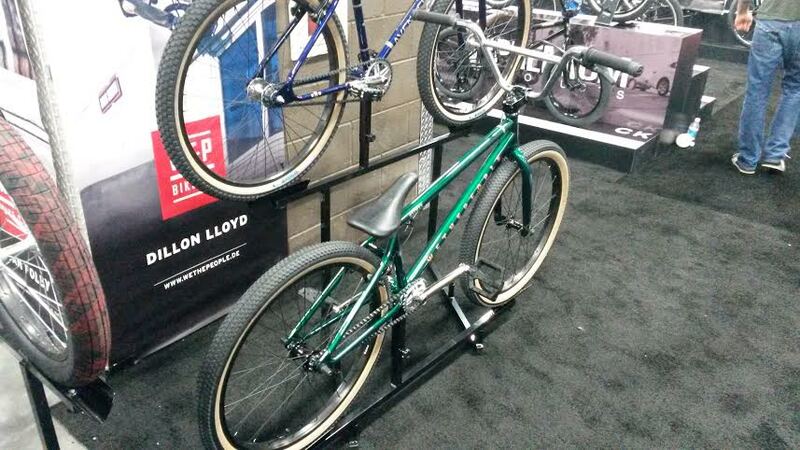 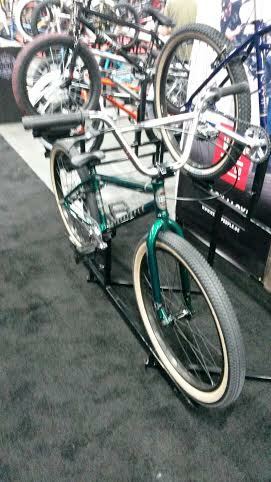 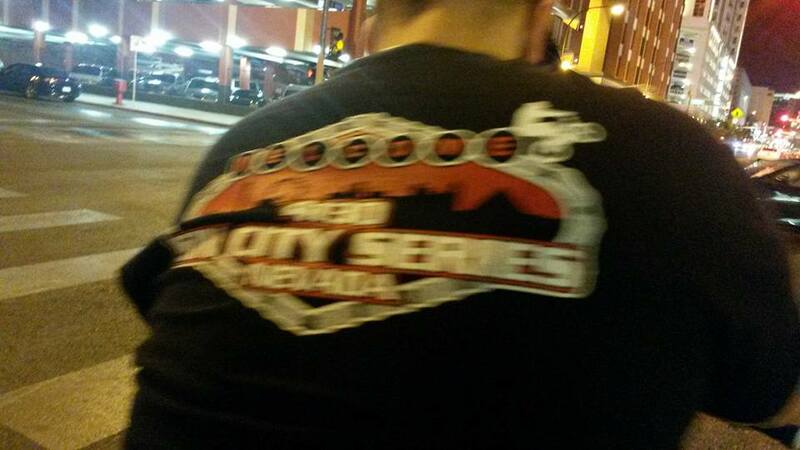 It was definitely cool to see this bike built up with the new wheel size just skirting 22″. 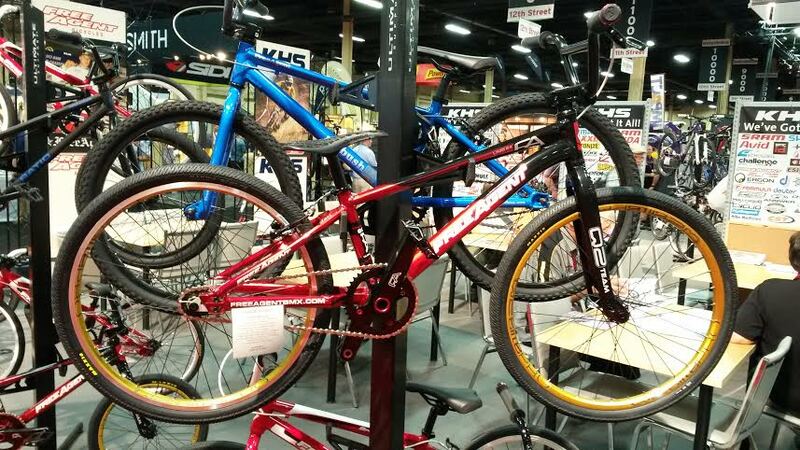 On a side note, I have heard that you might be able to get the OS20 wheels to work on some of the mid school-era trails frames — with the longer dropouts — so I’m curious to see if people might start experimenting with these new wheels on old frames sitting around. 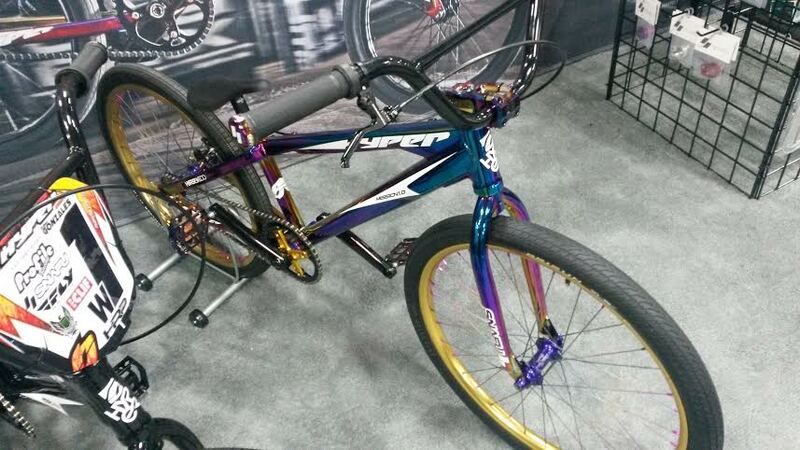 It would be a neat thing to try out. 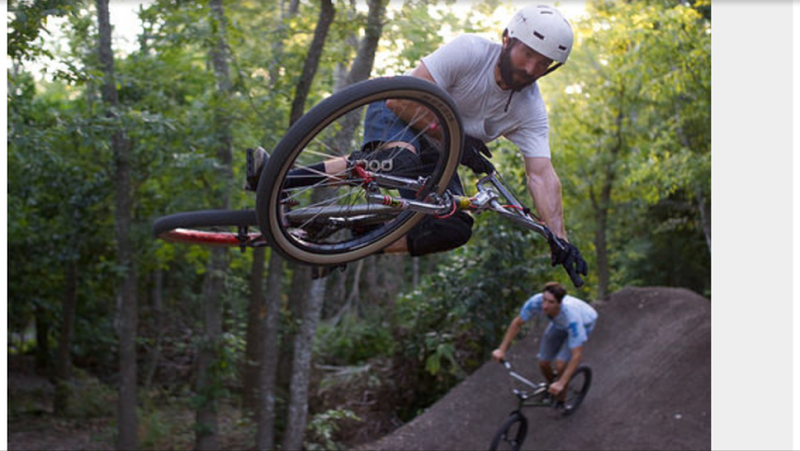 So, a couple things outside of the “cruiser mileu”…but two things that definitely have some cross-over elements into this part of riding.